There’s A Baoli In Gurugram Which You Had No Clue About! If you too are sick of going to the malls all the time and want to explore something new in your city, we’ve found just the right thing for you. Now, you won’t have to go all the way to Barakhamba Road to visit Agrasen Ki Baoli, instead, Gurugram has found its own Baoli and to be honest, it’s better than the Delhi one. Unlike Agrasen ki Baoli, Baoli Ghaus Ali Shah is humongous, magnificent and one of its kind. It’s a pretty chill place and if you are planning a day out, well, fret not, you know exactly where to pack your picnic bags for. Another amazing thing about this Baoli is that it’s perfect for photoshoots too. We all know it’s tough to find monuments in Gurugram but now your pre-wedding photo shoots, blogger shoots or the first of many photo walks is pretty much sorted, eh? Go On A Photo Walk For New Display Photos! 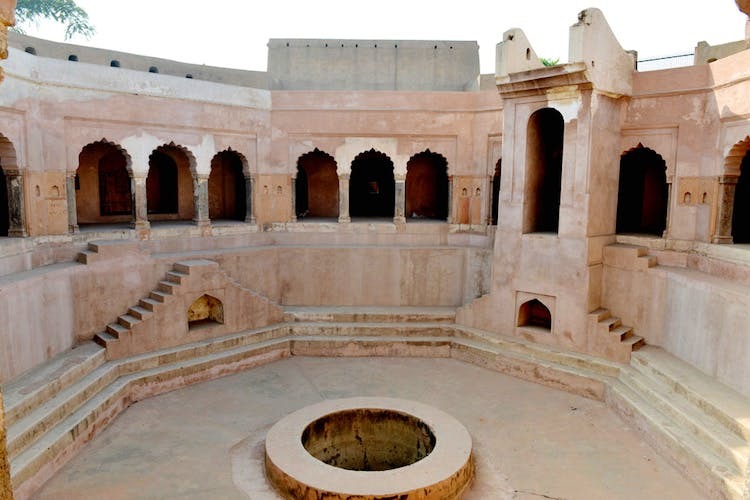 Winters are almost here and now is the best time to go and check out Baoli Ghaus Ali Shah which is situated in Farrukhnagar, a small municipality town in Gurugram district. Built in the 18th century AD, this historic beauty is a well shaped octagon with multiple stone staircases. During the reign of Farrukh Siyar, a Mughal Emperor, this step-well was built for the women of the Sheesh Mahal to take a bath. Apart from the Baoli, Farrukhnagar has a Sheesh Mahal, Farrukhnagar Fort and Jama Masjid that you can visit too. So yeah, we didn’t find one, or two but four fun places you can check out in Gurugram. Winter is the best season to be exploring your city and that’s exactly why you should take out a little bit of time from your hectic schedule and spend it at this beautiful baoli.